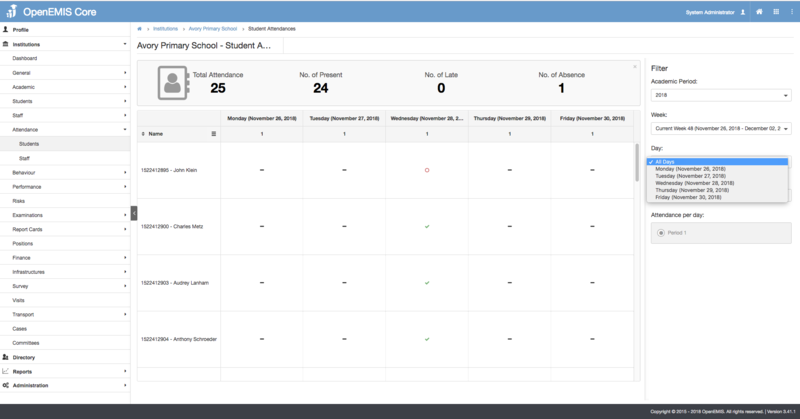 This feature allows teaching staff to mark attendance for the students in their classes. 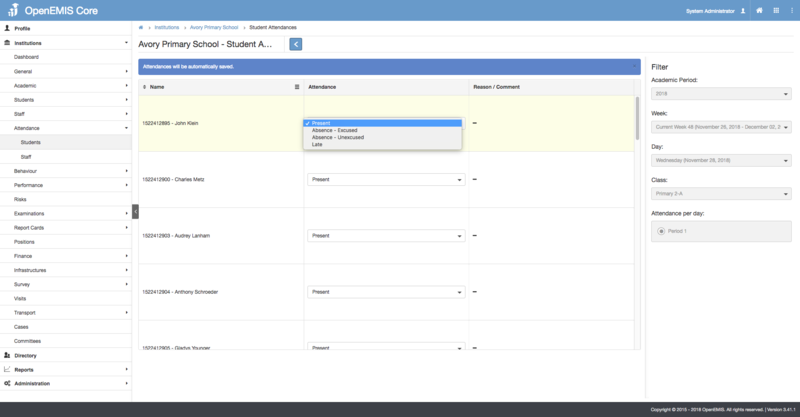 Step 2: Select the Academic Period, Week, Day and Class dropdown in the filter on the right. 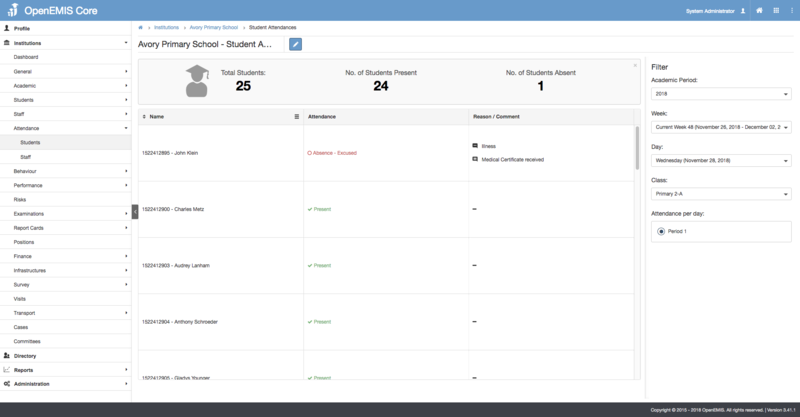 For User with Homeroom Teacher permission, they should only see their class in the class dropdown. 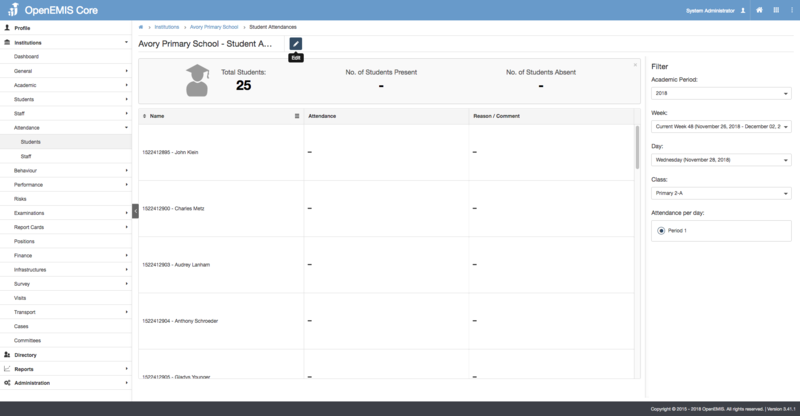 Step 4: Once user clicked on Edit, ALL the student attendance in the selected class will be marked as ‘Present’. 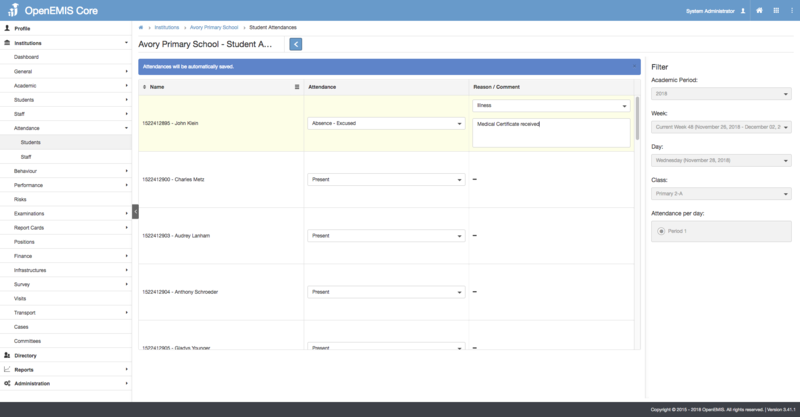 To log absentees, select a dropdown in the attendance column and change it to Absence (Excused/Unexcused). 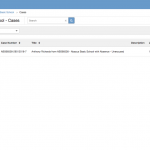 Step 5: Make any necessary changes, attendances will be automatically saved. Click on back button to go back to View mode. 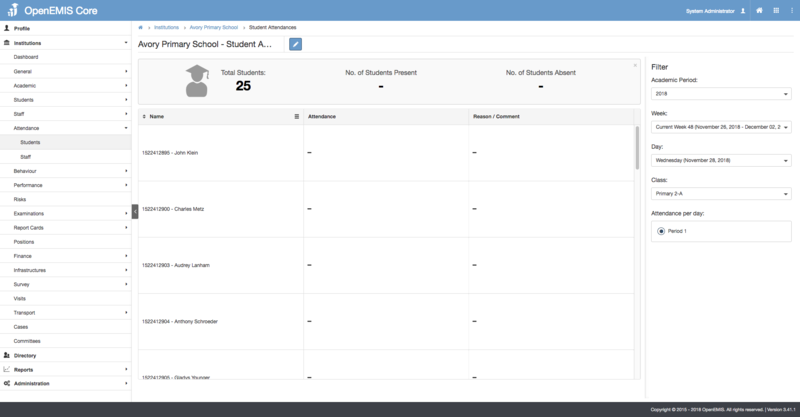 Step 6: There are 2 types of view for student attendance. To change the view, select single day or all days in the filter. However user only able to edit in single day view. 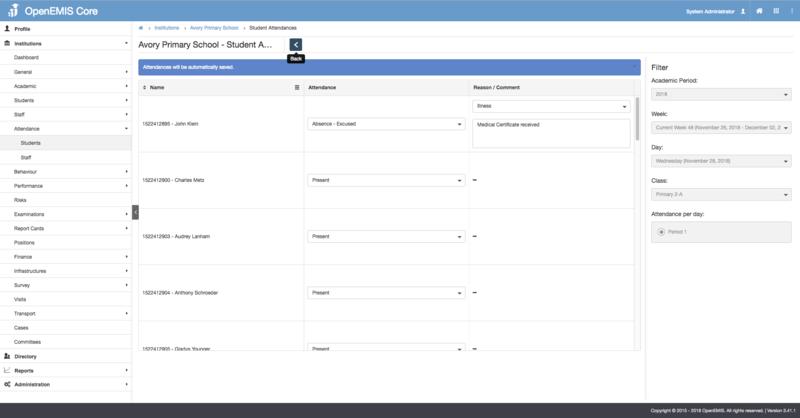 Step 1: Go to Administration > System Setup > Attendances. 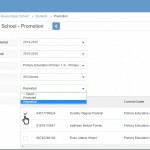 Select an Education Program in the dropdown. Step 2: Click on the ‘Select’ action button and select ‘Edit’. 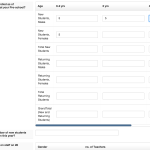 Step 3: Select the number of attendance per day. The maximum number allowed in the system is 5. Once it is saved, go to Institutions > Attendance > Students. Notice that there are 3 periods for attendance per day section. User have to select each period and edit to mark in different periods. 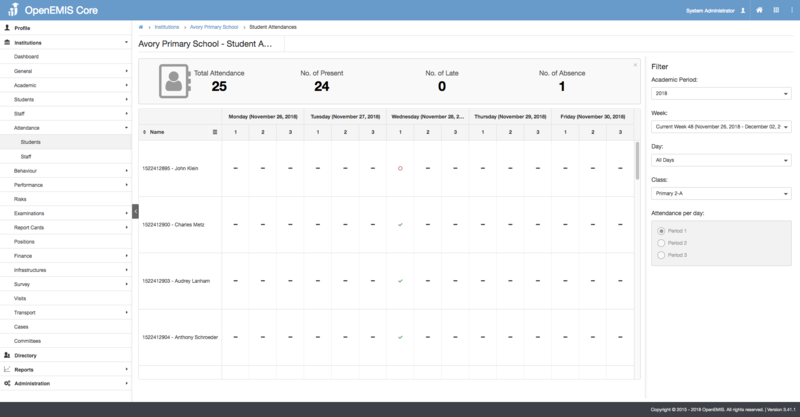 In all days view, there are 3 new columns for each day to indicate the marked and not marked symbols in each period.